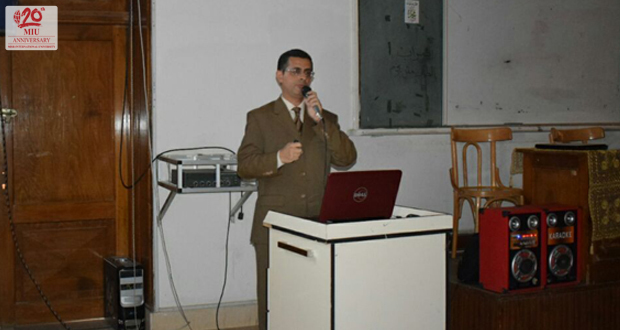 The Orthodontic Department at the Faculty of Dental Medicine for Girls, Al-Azhar University, organized its First Scientific Day on Thursday March 30, 2017. The Department invited Dr. Youssef Sedky and Dr. Khaled Keraa from Faculty of Oral and Dental Medicine, MIU, to participate in the event. 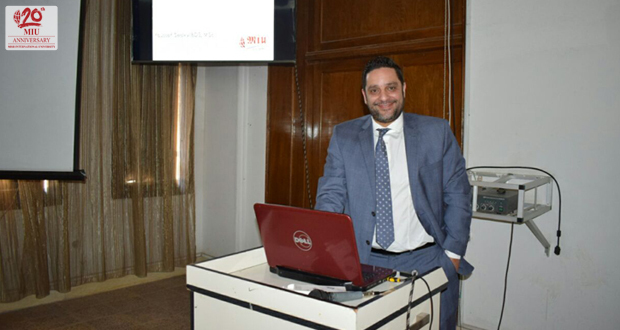 Dr. Youssef Sedky gave a lecture about “Laser in Orthodontics” while Dr. Khaled Keraa lectured about “Biostatistics and Research Tips”. The attendees were 20 staff members, teaching assistants and residents of Orthodontic Department. The overall satisfaction with the lectures was 85%.